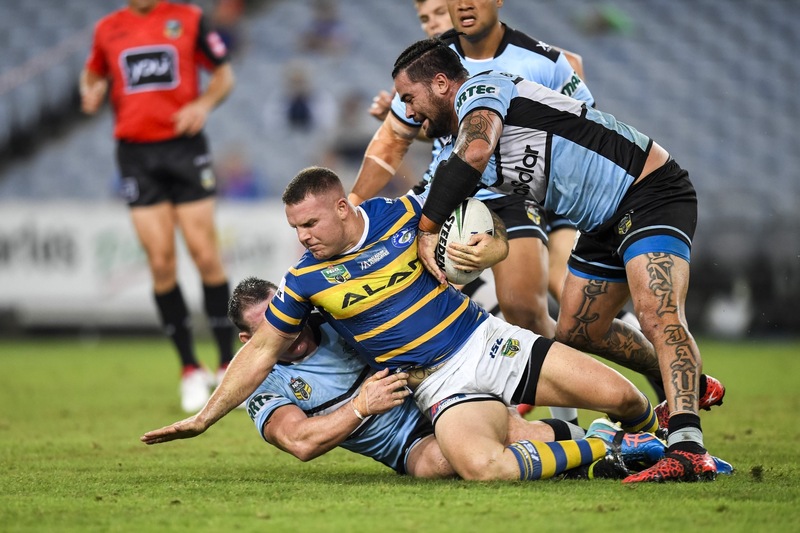 This last week has been tough for everyone associated with Parra, but the footy rolled on with five grades of Parramatta action to attend and report on. My apologies for not including the Tarsha Gale Cup (won 42 to 18 by the Eels) due to time constraints. 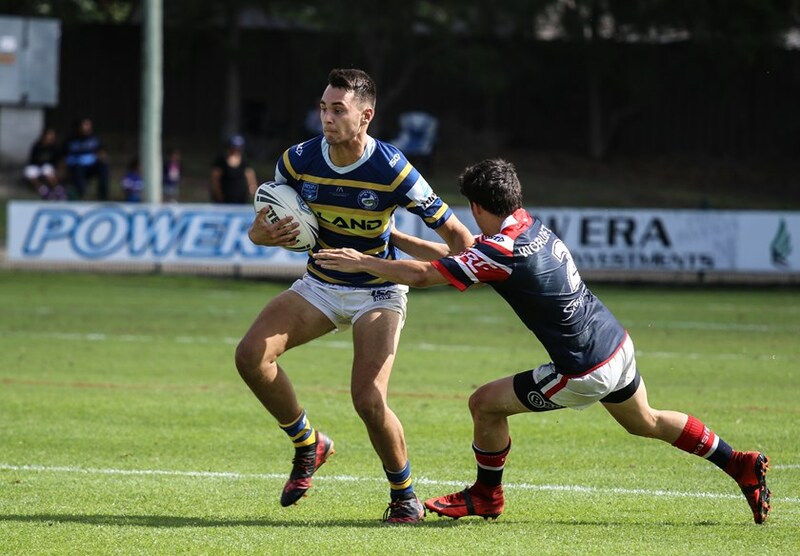 The action began with Junior Reps on Saturday morning at Cabramatta, continued with the NRL at ANZ Stadium on Saturday night, then concluded with Jersey Flegg and ISP at Ringrose on Sunday. Most readers will now know all of the results, and it wasn’t brilliant, but at TCT we believe that our fellow tragics want a bit of a rundown or insight into the performances. Accordingly, here’s the report on this weekend’s action. The third placed (equal first) Eels lined up against the 11th placed Roosters in a clash which would enable the Blue and Golds to push for a spot at the top of the table. With a finals place assured, the ten tries to one victory has the team playing confident football as they head into the last two rounds of their season. The Roosters opened the scoring with a converted try after only five minutes, but from there it was all Parramatta. Tries followed to right winger Komolafe (though I’m sure it was actually the fullback Tuipulotu who should have been credited), left centre Penisini, left winger Simon Tito, and Tuipuloto to give a half time score line of 18 to 6. With tries being scored out wide, conversions were tough for Sean Russell. That said, he was striking the ball very well and just missing. Apart from the tries, one of the highlights was watching halfback, Jake Arthur, rise immediately to his feet after being absolutely crunched by a much bigger Roosters forward. It was a monster hit, and the lightly framed Arthur stood immediately to play the ball without flinching. The second half saw the Eels kick it up a notch. Tries went to Tuipulotu, Komolafe, second rower Maric, Komolafe again, Russell, Tito and yet another to Komolafe. The feature of the tries was the way in which the team used the width of the field. The team defended tremendously well, with one Roosters’ repeat set in the Eels quarter being shut down by jams by both Parra wingers in consecutive plays. And didn’t they leave a mark on each Roosters player! This Eels Matts side has grown as a unit during the season. After a disappointing loss to the Panthers early in the year, and some mixed form, the team have found their groove in a big way. The forwards are laying a strong platform, and the shifts to the talented backs are reaping rewards. The back three of Tuipulotu, Komolafe and Tito had a day out against the Roosters, with plenty of credit deserved by the inside men setting up their opportunities. Special mention to Sean Russell for his impressive kick and chase try. Trey Mooney was my pick for best forward on Saturday. His charges through the middle continually bent the Roosters defence line. Jake Arthur has matured as a half, with his game management setting the platform for strong performances from his team mates. He possesses an advanced kicking game and his pass selection is the basis of many attacking raids. Best on field for the Eels were Mooney, Arthur and Tuipulotu. This match saw the fifth placed Eels taking on the high flying, table topping Roosters. It would prove to be a challenge with the Roosters running out convincing winners. The match summed up the Eels form this season – far too many errors gifting the opposition both possession and territory. The last five minutes of the first half literally surrendered the match to the Roosters. After fighting hard against the talented Tri-Colours, the Eels scored their second try to be 18 to 8 down (3 tries to 2) with five minutes to the break. An incomplete set from the kick off then turned the ball over to the Roosters who not only obliged with a try from that set, but then added a further try from the kick off to take a 28 to 8 lead into the break. Game over. The second half featured further tries to the Roosters on the back of Eels errors, with only a solitary try from Sam Hughes punctuating the proceedings. Unfortunately, the Eels team is suffering from a loss of personnel and a loss of confidence. Captain and dummy half, Kyle Schneider is out for the season and half back, Bailey Biondi-Odo, was a late withdrawal from the season. Talented half, Dylan Brown is eligible for SG Ball but is now a star of the Jersey Flegg team. There are still class players such as JP Nohra, Sam Hughes, David Hollis, Valance Harris, Stefano Utoikamanu, Matt Doorey and Charbel Tasipale – to name a few, but the team will need a genuine reversal of form to feature in this year’s big matches. This may be tough for some readers to accept, but I don’t rate the performance as badly as many do. Prior to the match, I stated that I was looking for the Eels to be more competitive. That could rightly be argued as a lowball ambition for a team touted by most as Top 4 contenders, but the fallout of a thrashing at the hands of an average Manly team left me setting a realistic goal for my viewing. Thankfully the team delivered that. The bad was definitely the disjointed Eels attack. With next to no penetration through the middle, the team delivered little but one out hit ups and block plays. This is not what they train to do. Unfortunately, Moses and Norman have no platform to work from, and to be honest they are very indecisive in their play. A big shot of confidence would help, but for now all players just have to work harder and battle their way through the slump. On a positive note, the defensive effort was a massive improvement with the Sharks enjoying 60% possession, but only crossing for the single try. It could be argued that the result would have been different with the possession rates reversed. Many pundits will tell you that a measure of a team’s attitude can be found in the defensive effort. After such a poor performance against the Sea Eagles, there was plenty of character to be found on Saturday night. The fellas were facing significant adversity late in the first half under a lop-sided penalty count, and if anything, they lifted. Without doubt, the attack is a major concern and the team won’t win any matches with the six points they’ve averaged across the first three rounds. However, it is a starting point – and the team can build from here. Despite notching up a convincing last up win over the Sea Eagles at Brookvale, this was always going to be a tough game for the Eels against a Knights team who gave them a major touch up in their Maitland trial. First half tries to 2017 SG Ball graduates Ethan Parry and Dylan Brown saw the Eels trail by only 10 to 8 at the break. Brown’s try was a 70 metre solo gem, in which he first broke the defence close to the ruck and then burnt the chasers and the fullback in a sprint to the line. The club’s goal kicking woes left the team two points adrift after the first half. A try midway through the second half for the Knights saw them kick away to a 16 to 8 lead, before a Sean Keppie charge brought a converted Eels try and a 16 to 14 score line. With ten minutes to go, a converted Knights try restored their 8 point lead and impregnable defence held the Eels at bay over the last ten minutes. Both halves, Brown and Taipari, did their best to inspire the Eels attack, but ultimately the team is down on some forward firepower. That said, Keppie and Tupou caused their share of damage. This was a very encouraging performance from an under strength Eels line up. They got into an arm wrestle with a strong Newcastle side and did so under adversity. As well as losing Jesse Cronin in the first half under the HIA rule, the Eels have a host of players to return over the coming weeks. This includes Salesi Faingaa, Steve Dresler, Mitch Butfield, Tyrone Faulkner, John Fonua, Vea Tapa, Filia Utoikamanu and Oregon Kaufusi. There’s plenty to look forward to with this squad. 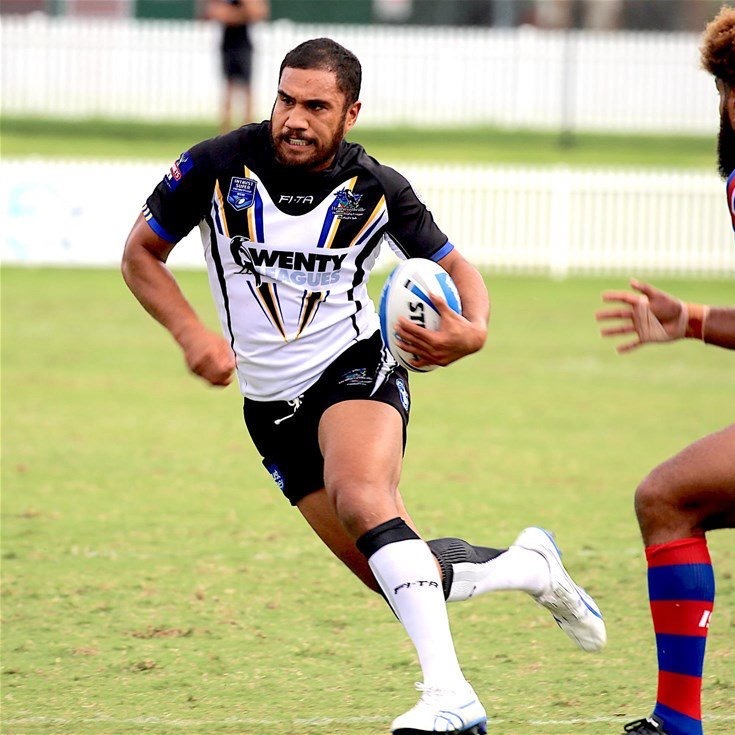 A number of NRL forward hopefuls took to the field for Wenty in their clash with the winless Knights. Vave, Matagi, Williams, Niukore, Gower, Pritchard and Terepo formed a strong pack expected to lay the platform for a Magpies victory. In reality Wenty were fielding a bigger pack than the Eels NRL team. For the most part, the match followed the script. Tries to Taumata and George Jennings (the recipient of a brilliant Gower cut out pass) saw Wenty take a 10 to 6 lead into the break. This was extended to 16 to 6 with a Sam Gorman try just after half time. His burst from dummy half came on the back of a powerful charge from T Rex who was pulled up just in front of the posts. Unfortunately, the familiar last 20 minutes Wenty fade reared its ugly head yet again. Back to back Knights tries took the lead away from the Magpies in a matter of minutes, before a Newcastle try with ten to go finished the scoring and put the match out of reach. Disappointingly, the Magpies game management lost its way late in the game with baffling last tackle options. On a positive note, Williams made a pleasing return to footy with powerful charges and exceptional post contact metres (10 runs, 122 metres – 59 post contact). Terepo frequently bent the line and his hits would have bruised quite a few Knights. His hands let him down on occasions but his size is something missing from the NRL. Pritchard was typical Pritchard – high energy out of dummy half and big hits which belied his size. Marata Niukore performed powerfully until copping a heavy knock in about the 60th minute, though he remained on the field. Vave was difficult for the defence to bring down, and his fitness is still probably a work in progress. Matagi returned to some of his best form, but a couple of pushed passes took a little gloss off his hit ups. Best on field was easily David Gower. Gowie kept digging into the Knights defence with incisive charges – and the supremely fit veteran seems to have added a step just before the line. One memorable cut out pass from Gower created space for George Jennings to score a long distance try. The match itself may have ended in defeat for the Magpies, but the return to football of a number of big men has provided some options for Brad Arthur in the coming weeks. Nathan Cayless will also look forward to the return of Ray Stone and an upcoming debut of Jaeman Salmon. The match marked the first appearance of Greg Leleisiuao for the season and he’ll be better for the hit out. There you have it. Not the best results but hopefully it’s answered a few questions about this weekend’s matches. Do you think Terepo and Nuikore are close to a first grade call up? TCT are somewhat biased – we are massive fans of Marata and would like to see him debut. Whether now is the right time is up to the coaches. Terepo has the experience and may well be close to a call up to replace Evans should he succumb to injury this week. I truly hope they give him a go; and we keep him. He has proven his worth in Wenty, and we need to look beyond some fwds we have now. It was a big pack of Wenty forwards, but we suffered through some handling errors and poor last tackle options. Still, the bigger players have given BA options. Pretty much like the old Greek café mixed grills or so it seems with those results, and how the teams performed overall. Thanks as usual for the report 60’s, its encouraging to read about Williams having a good return and when one really considers it, Gower could have been a decent inclusion in the NRL team. I am really hopping that Marata will get a call up sooner rather than later, likewise good reading about Kaysa as well, I also believe he would add to the NRl side as well. Thanks for the review and catch up Sixties. Good to hear T-Rex is coming along. We need more muscle up front. Gowie will never let anyone down if selected. T Rex surprised with his fitness. Did T-Rex run like the old Manly days or was he using his “bump” like he did at the doggies? We really need him running like he did at Manly! A bit of both to be honest. His hit ups through the middle featured a big bump into the line followed by big leg drive, hence the post contact metres. His charge that led to Sam Gorman’s try came from him striding out on a diagonal run towards the posts. It seems we need to add some strength to our pack and while we are playing during the afternoon and conditions may be easier for the pack Wests have some large props compared to us; i hope we some additions to the pack. If Bevan is out too i am not sure having Smith at FB, but there does not seem to be other options…. Milo, it will be interesting if both Hayne and French are ruled out. We might get a debut from George Jennings. Options could be to put Norms at the back and Smith at 6, or even Hoffman at the back. Both have played at the back and could be the answer. Smith working with MM, could be a good combo as well. I reckon BA will avoid too many positional swaps. I believe you are correct with the positional swaps, however they are options if and when needed. Thanks also for the other reply, must be frustrating when the bench is calling out and no response, maybe they were distracted by the calls?? Just a bit of un called for sarcasm. Ive long been an admirer of Sam Gorman. I recall throwing his name up last season when the “9” position became desperate. Ive never seen him have a bad game. I understand he is on a Wenty contract but do you think he has what it takes? Ive seen guys like Sam promoted and thrive once surrounded by more skilful players. Cody Walker springs to mind.